Infants were found dead in this Blackstone home. Cleaning crews are still working today at the Blackstone home where three babies were found dead last week, sorting through a disturbing amount of debris while authorities search for answers- including trying to determine how the infants died. Blackstone neighbors held a vigil this weekend for the family. Erika L. Murray, 31, believed to be the mother of the children, is being held without bail on allegations that she concealed the infant deaths. She also faces animal cruelty and witness intimidation charges, in addition to already-pending counts of child endangerment. Four other children from the home are in state custody. Blackstone police said they showed up at the home on St. Paul Street — just down the street from their headquarters — Aug. 28. Police were dispatched “after concerns were raised about crying children,” authorities said. Authorities took four children, aged 13, 10, 3, and five months, who are now in the custody of the state Department of Children and Families. Officials could not locate birth certificates for the younger children. Investigators got search warrants and came back to the house on Wednesday and found the remains of a newborn baby, authorities said. Then on Thursday, they reported finding two more dead infants. Blackstone police said Murray was arrested Thursday night at the home of a relative in the nearby town of Northbridge. She has pleaded not guilty. Crews worked through the weekend to clean the 1,150-square-foot house, also finding dead pets during a process that could take 90 hours and cost its owner $20,000. The dwelling belongs to a sister of Ramon Rivera III, 37, who authorities say is the father of at least some of the children in the case. He has not been charged in connection with the children, but police said he does face allegations of “possession and cultivating” marijuana in the basement of the home. On Facebook, Murray portrayed herself as a happy mother of two kids. There is no apparent discussion of her other children. Murray’s court-appointed lawyer, who has claimed she is mentally ill, said over the weekend that her life began to unravel three years ago, when she gave birth in her home to a third child. Wellesley lawyer Keith Halpern said she hid that child and another born five months ago from Rivera, who did not want more children because finances were tight. A state investigator says Murray told authorities that she mostly lived on the main floors of the home, while the father of the children stayed in the basement. The investigator told Globe reporter Patricia Wen that the 3-year-old, with poor muscle tone, apparently cannot walk and makes few sounds, and the baby shows signs of an infant who is not used to seeing sunlight. 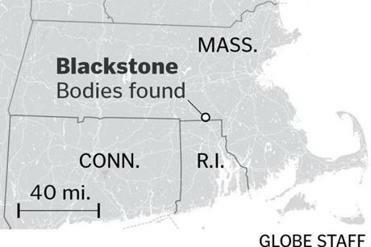 A small Worcester County community that shares a border with Woonsocket, R.I., Blackstone is reeling from the revelations that such a disturbing situation developed in a busy area of town. On Sunday, 150 people gathered at an evening vigil. 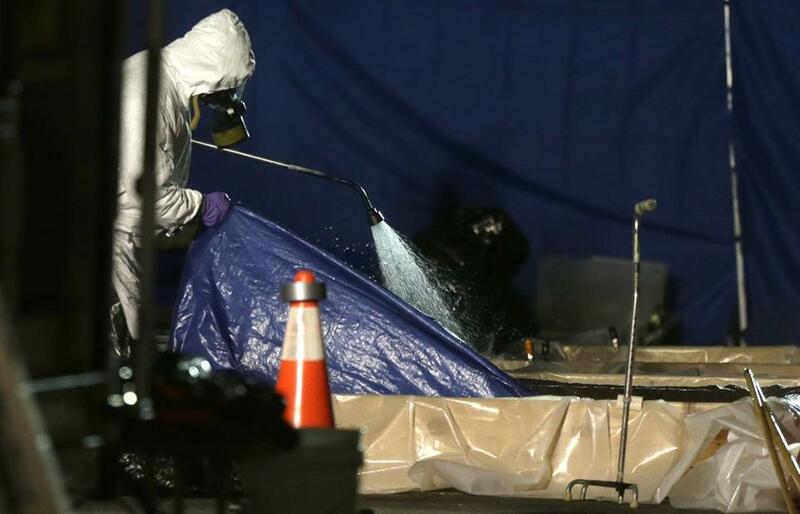 Authorities remain at the home, and the state medical examiner is trying to determine how and when the children died. Murray will likely have a pretrial hearing in coming weeks, during which prosecutors, defense attorneys, and a judge will discuss the schedule for the court case. Andy Rosen can be reached at andrew.rosen@globe.com. Follow him on Twitter at @andyrosen.